"We recently contracted with Barb to be our agent representative to sell our home. From start to finish, she was very professional and always kept us informed of the home selling process. She assessed our property's condition, ran property comparisons, and fully explained how she established the best asking price for our property that would entice the perfect buyer for our home - in the minimal amount of time. During the sales process, she kept us fully apprised of all potential buyers and provided invaluable suggestions/feedback to make our home presentable to all buyers. It was a pleasant surprise, to learn there were a plethora of potential buyers to view our house on opening day and that we had contracted a sale within 10 days of being on the market. Through the negotiation of sale process, Barb was very responsive to the buyers requests and never wavered in negotiations as the seller's agent. We are more than satisfied with our experience and it was nice to be able to trust Barb with our most valued possession. We would definitely recommend Barb and her professional experience to anyone!" "There's only one word that truly describes Barb Banman - "AWESOME"! She was so kind to my parents 9 years ago when we found her to sell their home of 50 years. Tom still had her number on his speed dial 9 years later when we decided to move from our home of 46 years.. She was so patient and helpful showing us several homes before she found just what we wanted. Then she turned around and sold our former property the second day it was listed. Barb was always so cheerful and helped us through things we knew nothing about, treating us as though we were family. We couldn't be happier! Barb went out of her way to make our buying and selling as "stress free" as possible. We highly recommend her to anyone who is buying or selling!" "I contracted with Barb as my selling agent in January of 2017 and couldn’t have asked for a better experience. Selling your home can be a difficult, frustrating and emotional undertaking and Barb is so good at removing a great deal of those elements. During my first meeting with Barb she made it clear that her mission was to “Close the Sale” and proceeded to provide me with meaningful and honest information that led me to the right decision on setting a sale price. Her knowledge of the Topeka Real Estate market and the listing and marketing tools that Barb employed were impressive and she remained actively involved every step of the way. Her efforts led to a contract within 14 days. I happened to be out of town during most of it and Barb stayed on top of everything for me – making sure the showing agents had easy access to the house, personally keeping the house in showing condition, personally following up on and addressing inspection issues. Barb’s professional knowledge, honesty and active involvement are the qualities you want in a real estate agent and I would not hesitate to recommend her." "Barb is an absolute delight to work with throughout the entirety of the home buying/selling process. Her knowledge and expertise made our decisions much easier by leading us to homes that we would enjoy for many years to come. She helped us with every aspect of the process which meant we had far less to worry about. 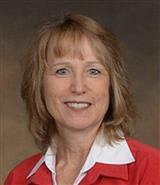 I would highly recommend Barb as your next realtor, unless you really enjoy a super stressful home buying experience."